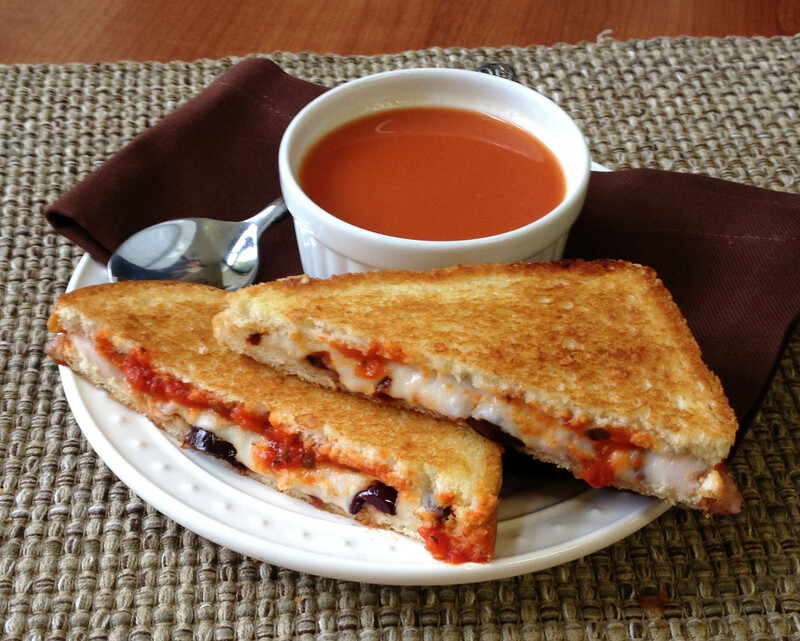 What is it about Grilled Cheese sandwiches that make it a common “go-to” comfort food? The simple flavors of your favorite cheese melted just right into irresistable buttery crispy bread almost never disaapoint! 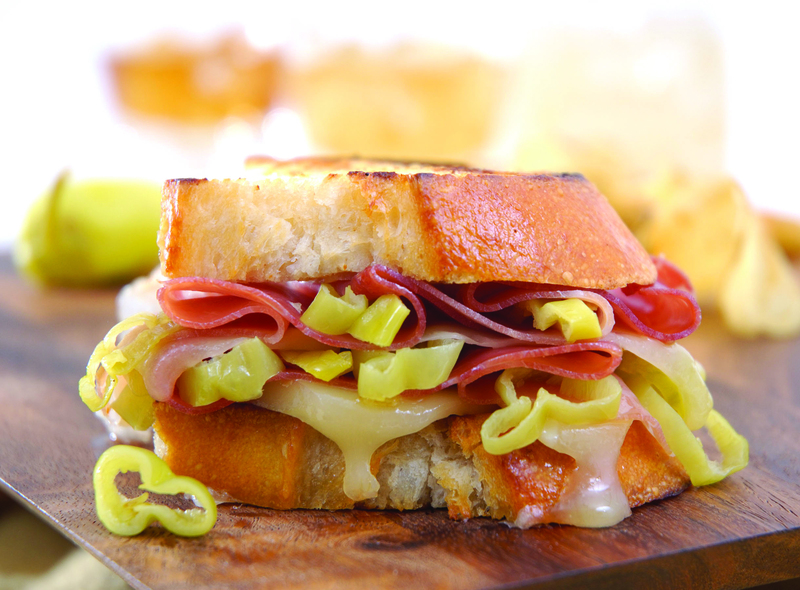 This month’s featured new recipe puts a modern gourmet twist on this American classic by adding Prosciutto, Provolone & Peperoncini. The best part? 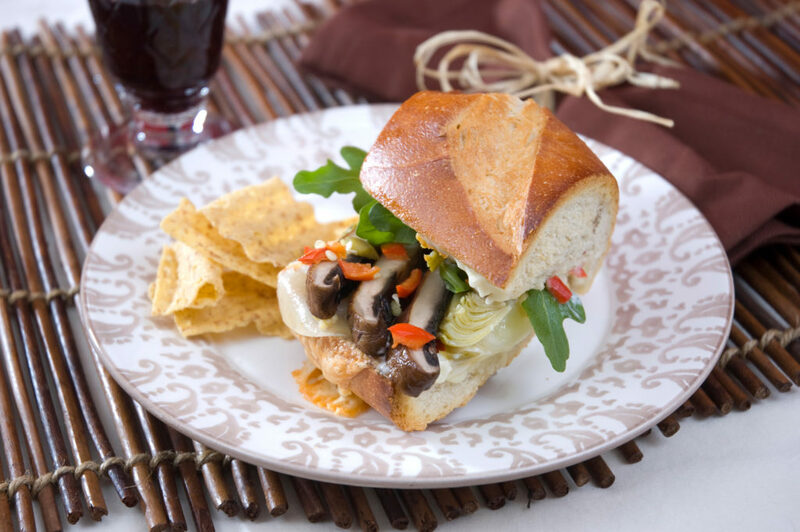 This sandwich can be on the table and in your belly in less than 20 minutes! Enjoy! Drain Peperoncini.Spread a teaspoon of Dijon on to each of four slices of bread. 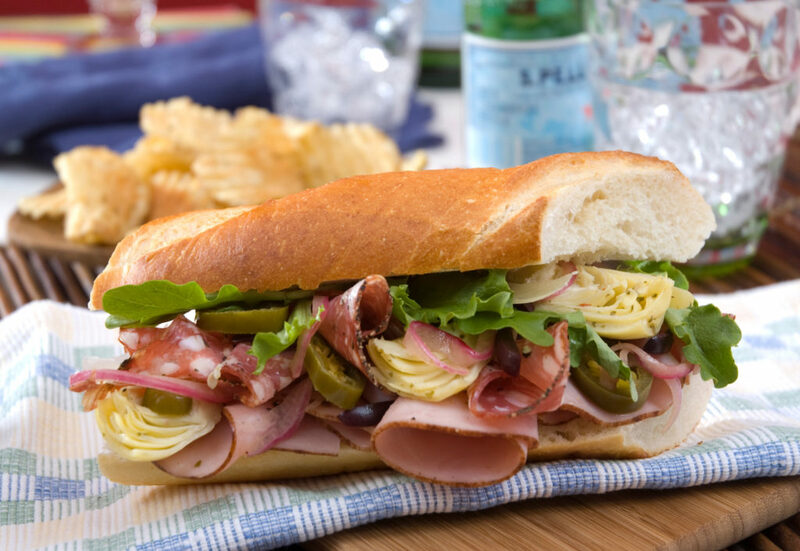 To build the sandwiches, divide up peperoncinis, ham and cheese equally, place them on top of the slice of bread that has the Dijon mustard on it. Melt two tablespoons of the butter in a large skillet. Cook two sandwiches on medium heat, covered, about six minutes per side. Repeat procedure with the remaining butter and other two sandwiches. Want more Grilled Cheese inspiration? Read A+ Grilled Cheese Sandwiches to Rock your Back-to-School Routine. 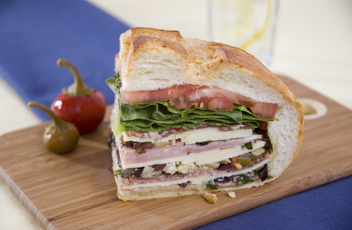 Find more delicious Sandwich and Panini ideas on our Recipe Page! For generations, the Grilled Cheese sandwich has been the “go-to” lunchtime favorite for both kids and grown-ups, but perhaps it’s time for an upgrade? Here are two recipes that will transform this classic comfort food staple with a creative Mediterranean twist. Both sandwiches are delicious paired with tomato soup or a delicious side salad. 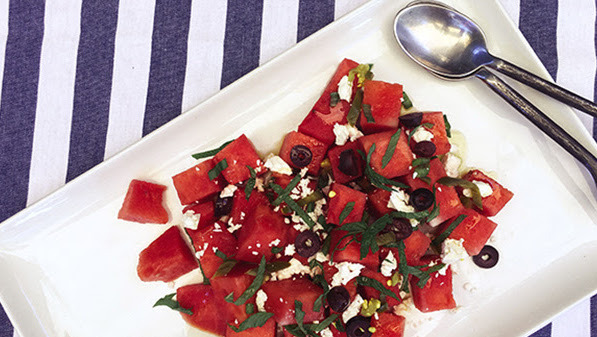 Perfect for quick and satisfying weeknight dinner or lunch on the go. Enjoy! Butter the outside slices of the bread. On the inside, spread one side of the bread with pesto. Next, add a slice of mozzarella. Top with the peppers, olives and spinach. Add another slice of mozzarella cheese on top of the spinach and close up the sandwich with the other slice of bread. In a medium sized nonstick pan over medium heat, cook the grilled cheese on each side until lightly browned and cheese is melted. Combine butter, oil and salt in a small bowl. Combine pizza sauce and basil in a separate small bowl. Heat 1 large non-stick skillet over medium heat. For each sandwich spoon an equal amount of sauce mixture over the center of each slice; spread evenly. 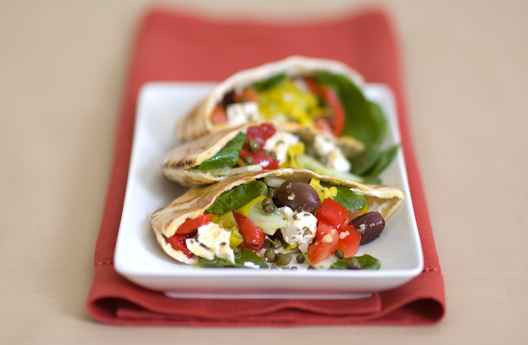 Place mozzarella slices over sauce mixture; arrange sundried tomatoes and kalamata olives over each layer of mozzarella. 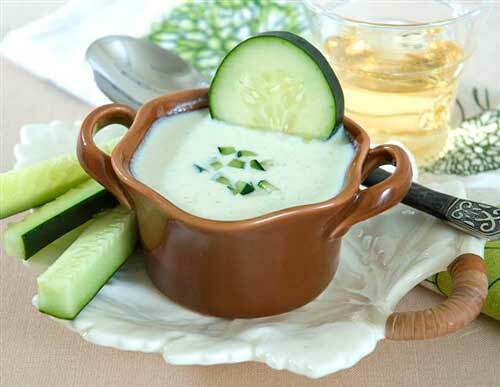 Sprinkle each with parmesan; top with a slice of fontina and the top slice of bread. Spread butter mixture on outside of sandwich. Cook 2 to 3 minutes; or until bottoms are golden, pressing each sandwich firmly with a spatula. Turn sandwiches and press each again with a spatula. Continue to cook until bottoms are golden and cheeses are melted. Also can be cooked in a panini press. 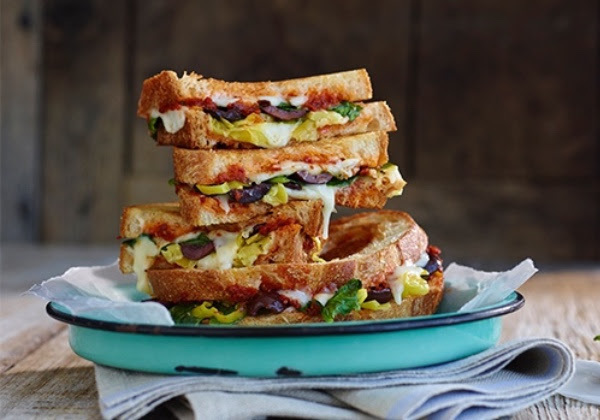 Visit our recipe page for more great sandwich ideas like the Grownup Spicy Grilled Cheese Sandwiches and the Dagwood Sandwich. YUM!